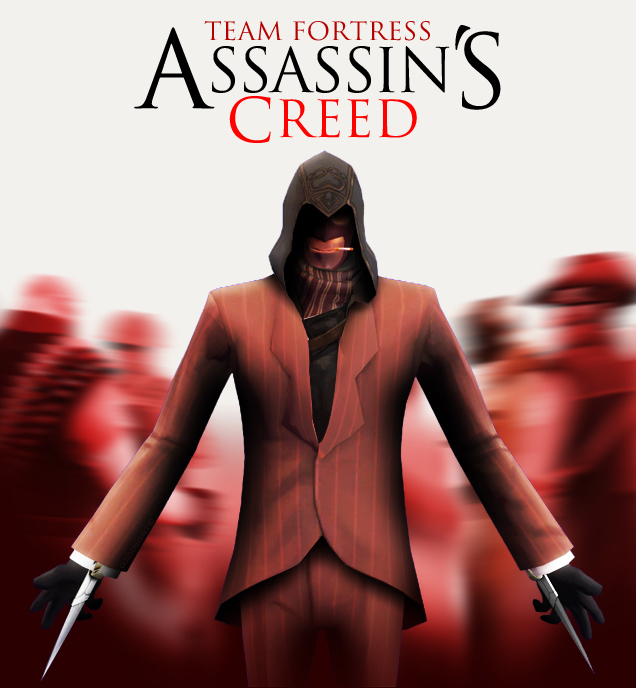 I made these TF2/Assassin's Creed images. Discussion in 'Team Fortress 2 Talk' started by goldenhearted, Nov 29, 2011. Quite happy how they turned out. BLU version and Steam icons are here. Some guy in Reddit redid it to make the Spy in the opposite team color. I think the Apostrophe is a little large, but really, that looks great!